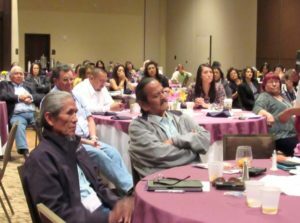 The CSVANW Team participates on a wide range of tribal and statewide committees, taskforces and groups to ensure that our Coalition policy advocacy focuses on centering the experiences, strengths and needs of our Native survivors of violence. We work to expand the capacity of our communities and systems to respond to and support the specific and emerging needs of domestic and sexual violence survivors. We inform research and policy agendas, coordinate with other Coalitions, and provide training and technical assistance to improve violence prevention and intervention efforts across our region. Our policy advocacy is dedicated to centering the experiences, strengths, and needs of our communities. Our work across our policy initiatives seeks to advance tribal representation in historically under represented spaces to further conversations about violence against our women and children. If you are interested in sitting on a committee or taskforce- and represent a tribal program, agency or organization- please reach out to CSVANW and we can facilitate your inclusion onto the respective committee or taskforce.